Koo Ntakra burst unto the music scene in Ghana after winning the 2nd edition of the annual MTN Hitmaker TV Reality show in 2013. He has ever since become one of the most consistent young rap and poetic musician, releasing an album in late 2014 and gained huge recognition by performing on most of the big stages in Ghana. His vast repertoire includes collaborations with some of the big Ghanaian artistes as well as other international artist. Born Isaac Akuffo, stage name Koo Ntakra, meaning ‘feathers’ in his native language, is a hiplife, rap and poetic artiste, rapping in his mother tongue of Akuapem, considered to many as one of the multifaceted young rappers due to his versatility in the music circles. He is considered one of the major proponents of the ‘Akuapem Rap’. Koo Ntakra soared to the lime light after being crowned the champion of the annual MTN Hitmaker Reality TV music contest, beating over thousands who entered into the competition in 2013. In 2013, after winning the reality show, he got his first taste of prominence when he was featured on the prestigious ‘Legends & Legacy Ball’ concert performing alongside high life great AB Crentsil and other big names in the industry in front of the former president of Ghana, H.E John Kuffour . Koo went on that year to record with one of Nigeria’s rising stars Wondaboy, which later featured on his debut Akuaba album the following year. 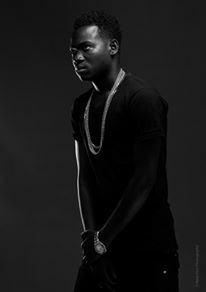 His collaborations with some of the big names in the industry gained him the opportunity to share the same stage with international arts including Davido, Patoranking, Wizkid, among others from Nigeria, as well as BET Award winner, Sarkodie , Kojo Antwi, Daddy Lumba, Samini and many more big names from Ghana. Koo Ntakra’s brand is captured in his name inscription which has the ‘feathers’ representing how far he is flying the flag of Akuapem and the Hiplife music from Ghana and proving every young talent can fly high with the right attitude, hard work, determination, perseverant and with a humble character.